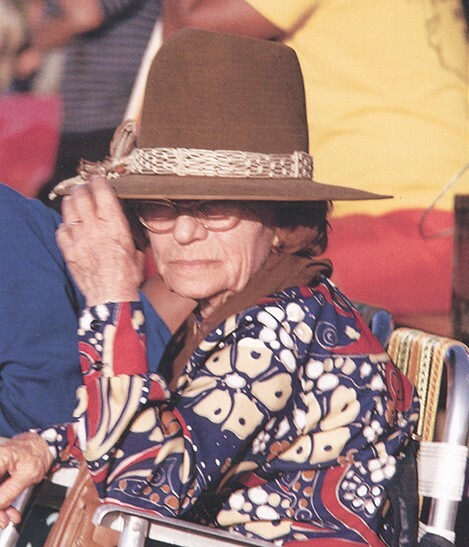 Nancy Katin "2000 Woman of the Year"
Nancy and husband Walter began sewing trunks in their Kanvis by Katin shop in the mid-50's. After Walter died in 1967, she continued to run the business with seamstress Sato Hughes. Exhibiting a sharp marketing and promotional sensibility, she began sponsoring top surfers such as Corky Carroll and David Nuuhiwa to wear Katin surf trunks during the 1960s and 1970s. 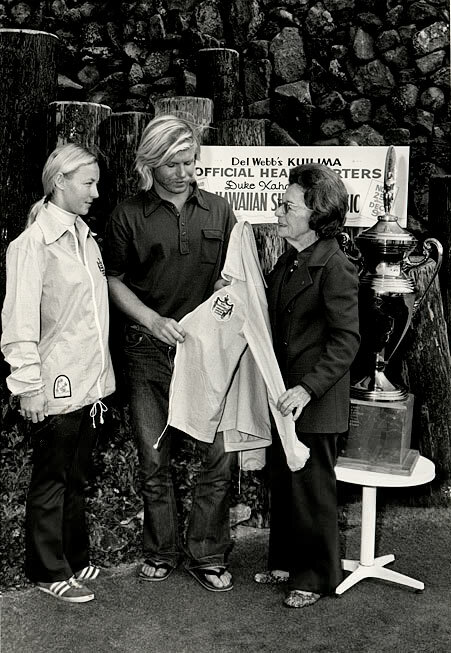 In 1977 Nancy began the Katin Pro/AM Team challenge, one of California's most important events. In 1986 she passed away leaving the business to Sato and her son.